Be safe and be seen with hi-viz workwear. Protect your workforce with an essential part of any industrial workers wardrobe. 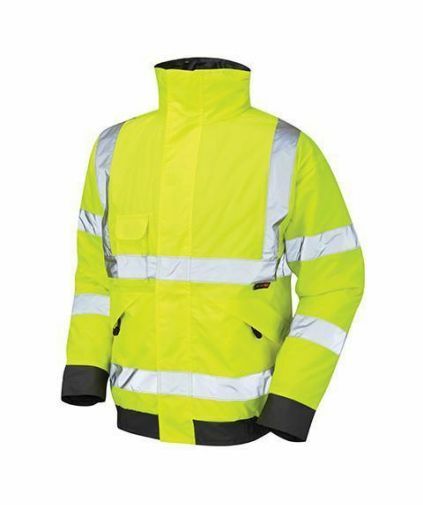 Workwear that provides an important level of visibility needed in any industry workplace. The Supertouch Hiviz Vest – 2 Band & Brace is ideal for promoting your company, event or identifying your staff. 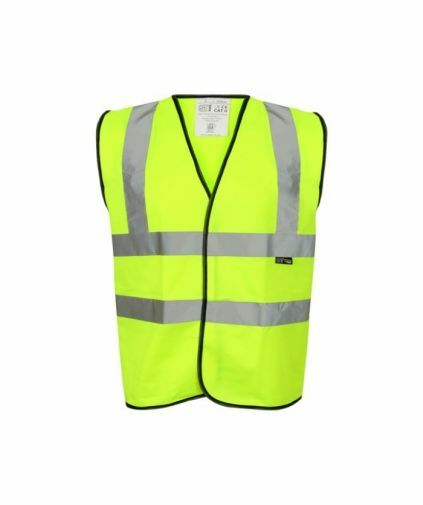 It has 2 50mm wide reflective strips around the body and 1 over the shoulders for extra visibility at all light levels and a Velcro fastening. The edges are bound with black polyester to give a finished look. This hi-vis bomber jacket will keep you warm dry, and safe in the winter months. 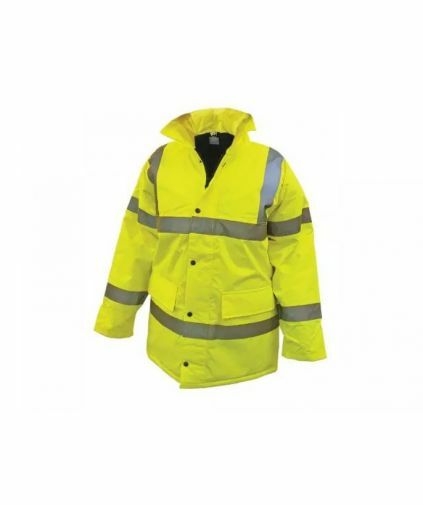 Hi-vis road safety coat in yellow with 2-band and brace pattern. Polyester fabric with velcro fastening. Reflective tape.